The final of Europe`s largest song contest Eurovision will be celebrated at Kesselhaus cultural center in Berlin. The event, under the slogan “Baku visits Berlin”, will be organized by the “Azerbaijan Student Network”. 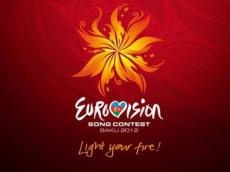 The event will be supported by “Eurovision-2012” song contest official sponsor SOCAR`s German Representation. Some 500 seats will be installed for spectators, and soft drinks and snacks will be provided. The event will be attended by well-known pop singer Lou, “Nica & Joe” duet and “Jazz & Swing” group led by singer Desney Baileynin. The event will featured the demonstration of a documentary about the Azerbaijani jazz music filmed by Klaus Bernhard.